2663001 EX100.5 FIAT-HITACHI EX100.5 Midi crawler excavator Spare parts catalog. Operation and maintenance manual. Service/Repair manual. 2663002 EX135 FIAT-HITACHI EX135 Midi crawler excavator Spare parts catalog. Operation and maintenance manual. Service/Repair manual. 2663003 EX135UR FIAT-HITACHI EX135UR Midi crawler excavator Spare parts catalog. Operation and maintenance manual. Service/Repair manual. 2663004 EX165 FIAT-HITACHI EX165 Crawler excavator Spare parts catalog. Operation and maintenance manual. Service/Repair manual. 2663005 EX215 FIAT-HITACHI EX215 Crawler excavator Spare parts catalog. Operation and maintenance manual. Service/Repair manual. 2663006 EX235 FIAT-HITACHI EX235 Crawler excavator Spare parts catalog. Operation and maintenance manual. Service/Repair manual. 2663007 EX255 FIAT-HITACHI EX255 Crawler excavator Spare parts catalog. Operation and maintenance manual. Service/Repair manual. 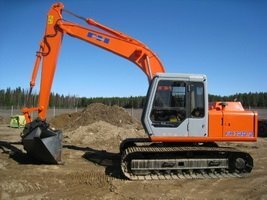 2663008 EX255 LC FIAT-HITACHI EX255 LC Crawler excavator Spare parts catalog. Operation and maintenance manual. Service/Repair manual. 2663009 EX285 FIAT-HITACHI EX285 Crawler excavator Spare parts catalog. Operation and maintenance manual. Service/Repair manual. 2663010 EX355 FIAT-HITACHI EX355 Crawler excavator Spare parts catalog. Operation and maintenance manual. Service/Repair manual. 2663011 EX355BEH FIAT-HITACHI EX355BEH Large crawler excavator Spare parts catalog. Operation and maintenance manual. Service/Repair manual. 2663012 EX455 FIAT-HITACHI EX455 Crawler excavator Spare parts catalog. Operation and maintenance manual. Service/Repair manual. 2663014 FH30.2 FIAT-HITACHI FH30.2 Mini crawler excavator Spare parts catalog. Operation and maintenance manual. Service/Repair manual. 2663015 FH95 FIAT-HITACHI FH95 Midi crawler excavator Spare parts catalog. Operation and maintenance manual. Service/Repair manual. 2663016 FH85W FIAT-HITACHI FH85W Midi crawler excavator Spare parts catalog. Operation and maintenance manual. Service/Repair manual. 2663017 FH90W FIAT-HITACHI FH90W Midi crawler excavator Spare parts catalog. Operation and maintenance manual. Service/Repair manual. 2663018 FH115W FIAT-HITACHI FH115W Midi crawler excavator Spare parts catalog. Operation and maintenance manual. Service/Repair manual. 2663019 FH120W FIAT-HITACHI FH120W Wheel excavator Spare parts catalog. Operation and maintenance manual. Service/Repair manual. 2663020 FH130W.3 FIAT-HITACHI FH130W.3 Wheel excavator Spare parts catalog. Operation and maintenance manual. Service/Repair manual. 2663021 FH150W.3 FIAT-HITACHI FH150W.3 Wheel excavator Spare parts catalog. Operation and maintenance manual. Service/Repair manual. 2663022 FH120 FIAT-HITACHI FH120 Large crawler excavator Spare parts catalog. Operation and maintenance manual. Service/Repair manual. 2663023 FH130.3 FIAT-HITACHI FH130.3 Large crawler excavator Spare parts catalog. Operation and maintenance manual. Service/Repair manual. 2663024 FH150 FIAT-HITACHI FH150 Large crawler excavator Spare parts catalog. Operation and maintenance manual. Service/Repair manual. 2663025 FH150.3 FIAT-HITACHI FH150.3 Large crawler excavator Spare parts catalog. Operation and maintenance manual. Service/Repair manual. 2663026 FH200 FIAT-HITACHI FH200 Large crawler excavator Spare parts catalog. Operation and maintenance manual. Service/Repair manual. 2663027 FH200.3 FIAT-HITACHI FH200.3 Large crawler excavator Spare parts catalog. Operation and maintenance manual. Service/Repair manual. 2663028 FH200W.3 FIAT-HITACHI FH200W.3 Large crawler excavator Spare parts catalog. Operation and maintenance manual. Service/Repair manual. 2663029 FH220 FIAT-HITACHI FH220 Large crawler excavator Spare parts catalog. Operation and maintenance manual. Service/Repair manual. 2663030 FH220.2 FIAT-HITACHI FH220.2 Large crawler excavator Spare parts catalog. Operation and maintenance manual. Service/Repair manual. 2663031 FH220.3 FIAT-HITACHI FH220.3 Large crawler excavator Spare parts catalog. Operation and maintenance manual. Service/Repair manual. 2663032 FH240.3 FIAT-HITACHI FH240.3 Large crawler excavator Spare parts catalog. Operation and maintenance manual. Service/Repair manual. 2663033 FH270.3 FIAT-HITACHI FH270.3 Large crawler excavator Spare parts catalog. Operation and maintenance manual. Service/Repair manual. 2663034 FH300 FIAT-HITACHI FH300 Large crawler excavator Spare parts catalog. Operation and maintenance manual. Service/Repair manual. 2663035 FH330.3 FIAT-HITACHI FH330.3 Large crawler excavator Spare parts catalog. Operation and maintenance manual. Service/Repair manual. 2663036 FH400 FIAT-HITACHI FH400 Large crawler excavator Spare parts catalog. Operation and maintenance manual. Service/Repair manual. 2663037 FH450.3 FIAT-HITACHI FH450.3 Large crawler excavator Spare parts catalog. Operation and maintenance manual. Service/Repair manual. 2663039 EX135W FIAT-HITACHI EX135W Wheel excavator Spare parts catalog. Operation and maintenance manual. Service/Repair manual. 2663040 EX165W FIAT-HITACHI EX165W Wheel excavator Spare parts catalog. Operation and maintenance manual. Service/Repair manual. 2663041 EX215W FIAT-HITACHI EX215W Wheel excavator Spare parts catalog. Operation and maintenance manual. Service/Repair manual.